One question that a few Bogleheads had asked was about how a US citizen can qualify for U.S. Social Security benefits if they were covered under a foreign social security system for a portion of their working career. I gave a very brief answer on the podcast, but I wanted to discuss that topic more thoroughly here. Allow you to qualify for benefits when you might not otherwise qualify. If you meet all the basic requirements under one country’s system, you will get a regular benefit from that country. If you have at least 6 credits (“quarters of coverage”) under the U.S. Social Security system, but you do not have the 40 credits that would ordinarily be necessary to qualify for a retirement benefit, your credits will be “totalized.” That is, your credits under the foreign social security system will be counted toward qualifying for U.S. Social Security. And the opposite would happen as well — if you don’t quite qualify for coverage under the foreign social security system, totalization would allow your U.S. periods of coverage to be counted toward qualifying there. The benefit that is calculated based on those U.S. earnings is ultimately multiplied by a fraction, which represents the portion of your career for which you were paying into the U.S. system. Entitled to a regular U.S. benefit, as well as a foreign benefit which is based on a totalization agreement with the U.S. (i.e. you only qualified for the foreign social security benefit via counting your U.S. credits), and you are not receiving any other pension based on non-covered work (e.g., a pension from the state of Illinois). Finally, a foreign social security benefit will not trigger the government pension offset (GPO). Can You Trust Information from the SSA? It’s true that SSA employees sometimes provide inaccurate information. SSA representatives are dealing with a complex set of rules regarding a broad range of topics. And they only get a limited amount of training before being put on the front line, answering people’s questions. Mistakes happen, despite best efforts and good intentions. It’s also important to recognize that Social Security rules use very specific terminology. I have encountered many situations in which an SSA employee provided an answer that was 100% correct — but the person asking the question misunderstood the answer. I’ve also encountered numerous situations in which a person accidentally asks something other than what they meant to ask (e.g., they ask whether they are entitled to a benefit, when they really wanted to know whether they’re eligible for that benefit), and the SSA employee correctly answers the question asked. And, again, the net result is that the person comes away with a misunderstanding, even though the SSA employee provided a correct answer to the question that was asked. Program Operations Manual System (POMS), which is the SSA’s internal manual for employees. The POMS is by far the most thorough of the sources above. It does not, however, have any legal authority. So if, for example, something in the POMS contradicts something in the Act, the Act wins. Other than the three above sources, most pages on the SSA website are akin to IRS publications in that they’re intended to be plain-english explanations of the rules, but they may use imprecise language or omit exceptions that could be relevant to you. 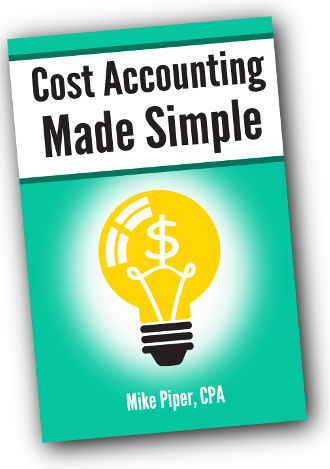 Remember that SSA employees are not financial planners. They are not really trained for giving advice, because that’s not their job. Rather, they are essentially “order takers” whose job is to process the application that you file and to answer questions about what benefits you are/aren’t entitled to (or eligible for). When you apply for Social Security, apply online. In all the time I’ve been working with Social Security, I’ve only ever heard from one person whose online application was processed incorrectly. Conversely, I have heard from I have-no-idea-how-many people about their in-person or phone applications being processed incorrectly. Over the last several months, many people have written in about the various things they’ve learned from using the Open Social Security calculator. I thought it would be worthwhile to collect the most common such lessons in one place. Restricted application strategies are still available for people born 1/1/1954 or earlier. Your benefit as a spouse may be more or less than 50% of the amount your spouse is receiving. It is possible (common, even) for a person to receive a retirement benefit and a spousal benefit at the same time. For an unmarried person, it’s usually advantageous to wait until somewhere in the 68-70 range. But this decision will be significantly impacted by the life expectancy selected as well as the discount rate used. When the spouse with the lower primary insurance amount has a sizable government pension (such that the government pension offset would eliminate any Social Security survivor benefit they might otherwise receive), it becomes considerably less advantageous for the higher earner to wait. When the lower earner is considerably older and has a much lower retirement benefit, it becomes less advantageous for the higher earner to wait (because the cost of waiting is much greater — because the lower earner can’t get his/her benefit as a spouse until the higher earner has filed for retirement benefits). Waiting until 70 is usually not the best strategy. However, the decision is not usually very impactful (e.g., claiming at 63 is not usually super different from claiming at 66). The decision is more heavily affected by inputs such as life expectancies and discount rates (whereas the decision for the higher earner doesn’t usually fluctuate much). For a divorcee who was married for 10+ years prior to divorce, if your ex-spouse has a higher earnings record, the decision is analogous to the decision for the lower earner in a married couple. That is, because you might have the option for a survivor benefit later, it’s often ideal to file for your own benefit early. To be clear though, while this is the strategy that usually maximizes expected spending, it’s somewhat high-risk, in that it’s essentially a bet on your ex-spouse dying somewhere around a “typical” age. If they live well beyond their life expectancy, you’ll be stuck collecting your reduced retirement benefit in the meantime. For a divorcee with a higher earnings record than their ex-spouse, the decision is analogous to that for an unmarried person (i.e., it’s usually advantageous to wait, but not necessarily all the way until age 70). *I’m still working on functionality for child benefits for married couples. Progress is slow (slower than I had anticipated, frankly) but steady. 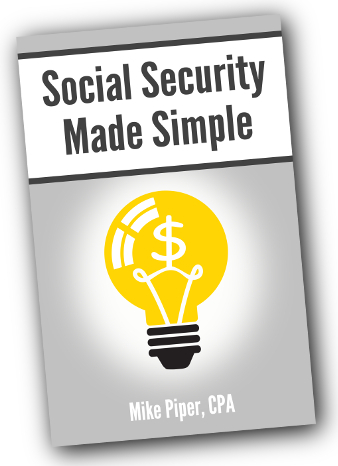 How Does the Social Security Family Maximum Work? “No,” to both questions. The family maximum is not something that gets in the way of waiting to file for Social Security benefits. Nor is it something that gets in the way of two high earners having high benefits. Rather, the family maximum is a rule that becomes relevant when there are at least two other people (i.e., a spouse as well as a minor child, adult disabled child, or dependent parent) who are drawing benefits on the work record of one person. 175% of their PIA over $2,154. Example: Fred and Nancy have an adult disabled child, Sarah. Nancy’s work record is insufficient to qualify for a Social Security retirement benefit of her own, because she has spent so much of her time caring for Sarah. Fred’s PIA is such that the family maximum is calculated as 180% of his PIA. Without considering the family maximum, Nancy would be able to receive a spousal benefit equal to 50% of Fred’s PIA (assuming she waits until her full retirement age to file for such benefit), and Sarah would be able to receive a child’s benefit equal to 50% of Fred’s PIA. However, because of the family maximum, Nancy and Sarah’s total benefit will be limited to 80% of Fred’s PIA (i.e., 180% of his PIA, minus the 100% that Fred gets himself). Also, when calculating the amount of benefit that the rest of the family can receive, the worker’s own benefit is assumed to be 100% of their PIA, regardless of whether they actually filed before or after full retirement age. For example, if the family maximum calculated on your PIA is 170% of your PIA, that means that the maximum for the rest of your family (on your work record) would be 70% of your PIA, even if your own benefit is more or less than 100% of your PIA due to filing early or late. Example (continued from above): The family maximum calculated based on Fred’s PIA is 180% of his PIA, which means that the rest of Fred’s family can receive 80% of his PIA. As a result, rather than each receiving a benefit equal to 50% of Fred’s PIA, Nancy and Sarah will each receive a benefit equal to 40% of Fred’s PIA. What if Nancy did have enough work history to qualify for a retirement benefit of her own? In that case, her retirement benefit amount would not count toward the family max on Fred’s record. Example: Nancy has a retirement benefit equal to 30% of Fred’s PIA. Before considering the family max, she should be able to also get a spousal benefit equal to 20% of Fred’s PIA (i.e., enough of a spousal benefit to bring her total benefit up to half of his PIA, just like normal). Now, with Nancy getting a spousal benefit equal to 20% of Fred’s PIA and Sarah getting a child’s benefit equal to 50% of Fred’s PIA, the family maximum of 180% of his PIA is not exceeded, so the family maximum rule has no effect at all. A final important point about the family maximum is that an ex-spouse drawing a benefit on your work record does not count toward your family maximum benefit (i.e., the ex-spouse drawing a benefit will not reduce the benefit of anybody in your current family). And, in turn, the family maximum rule cannot reduce the benefit of an ex-spouse. How Long Will You Collect Social Security Survivor Benefits? In the last two weeks, a common question about the Open Social Security calculator has been why it uses mortality tables (to calculate a probability of being alive in each given year) rather than simply assuming the user will die precisely at their life expectancy. The answer has to do with survivor benefits for married couples. Specifically, assuming that each person will die at their expected date often results in an underestimation of the total amount of survivor benefits that are likely to be received — and that could cause the calculator to suggest a suboptimal strategy. As one quick example, consider a husband and wife, each born 4/15/1960. The husband has PIA of $1,800, and the wife has PIA of $1,000. And let’s assume that they are in average health. The calculator as it’s written now suggests that the husband files at 70 and the wife files at 62 and 3 months. The total present value of this strategy (i.e., the total amount of spending it can be expected to fund over their lifetimes) is $549,164, of which $102,742 comes from survivor benefits. Now what if we instead do the analysis using fixed “death date” assumptions? The wife has a life expectancy of age 84.81. If we used those as the fixed “death dates,” the calculator would be calculating for 2.81 years of survivor benefits. If filing at 70 the husband has a retirement benefit of $2,232 per month. If filing at 62 and 3 months the wife has a retirement benefit of $712 per month. The difference between $2,232 and $712 is $1,520, which tells us that if the wife outlives the husband, she’ll get a survivor benefit of $1,520 per month — or $18,240 per year. Multiply $18,240 by the “expected” 2.81 years, and we get a total survivor benefit of $51,254, before discounting for time value of money. When we discount that back to age 62 with the 0.89% real rate the calculator is currently using, we get a PV of $42,399. In other words, with this particular set of inputs, by assuming fixed dates of death, the calculator would only assign about 41% of the value ($42,399 rather than $102,742) to survivor benefits that it really should. In some cases (depending on difference in ages, PIAs, etc) this might not matter much in terms of the suggested strategy. But in other cases it will be important. Accepting and accounting for uncertainty in death dates is, in general, useful. Even though each approach (year-by-year mortality, or fixed death date assumption) is using the same “expected” date at death, the year-by-year mortality approach accounts for scenarios in which there’s a long length of time where survivor benefits are relevant. For example, it accounts for a scenario in which the husband dies at 71 and the wife lives until 84. And a scenario in which the husband dies at 72 and the wife lives until 83. And a scenario in which the husband dies at 82 and the wife lives until 96, etc. Each such scenario is unlikely, but when taken together they add up to a nontrivial probability. And in such scenarios, the payout for strategies that maximized survivor benefits is quite a bit higher than for strategies that did not do so. It would usually be a mistake not to take that into account.